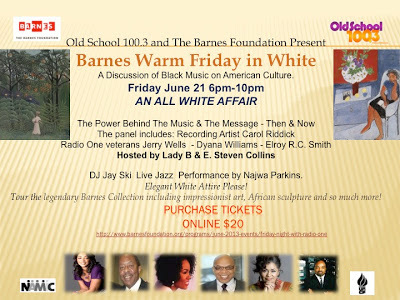 This Friday night, The Barnes Foundation will be celebrating Black Music Month with its all white After Work Jam event. End your work week at the Barnes with live jazz, drink specials, their legendary art collection, and jam to DJ JaySki on the outdoor terrace. There also will be a panel discussion hosted by E. Steven Collins on Black Music Month. Check out the event info and itinerary below! Tickets are only $20! Join the party and dress in white. 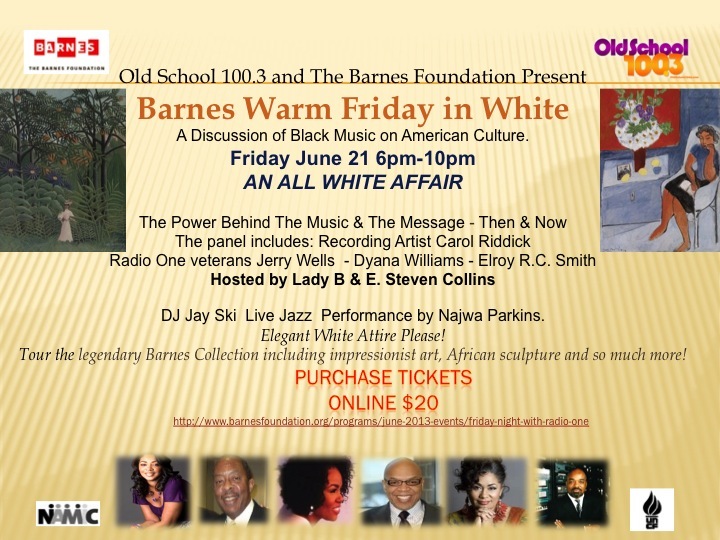 Purchase tickets online or call 215.278.7200.